I am a 40-year-old Hispanic woman living in Sacramento, California, and I have diabetes. When I was diagnosed five years ago, I thought I was well-prepared to deal with the disease. Both my late mother and my brothers already had diabetes, and since I work in health care, I figured I knew everything there was to know. But two years later, I saw no improvement. I started feeling frustrated, so I decided to talk to my doctor about it. That’s how I got referred to a diabetes educator.And that’s when things started to change for the better. Despite my love and appreciation for the medical profession as a whole, I, like many people with diabetes, do not like diabetes educators. In fact, I don’t just not like them; I feel openly hostile toward them. Nearly every interaction I’ve had with a certified diabetes educator (CDE) has left me feeling judged and condescended to, no matter how well my actual diabetes care was going at the time. I feel bad about these sentiments, because most CDEs are very nice people. They’re so nice, in fact, that they have devoted their careers to trying to help other people, deliberately entering a field that nearly guarantees that they will be overworked and underpaid. In reward for their efforts, they are often faced with patients who don’t listen, don’t act on their suggestions, take out their anger on them, or – this definitely applies to me – express skepticism at everything they say. It’s amazing anyone signs up! 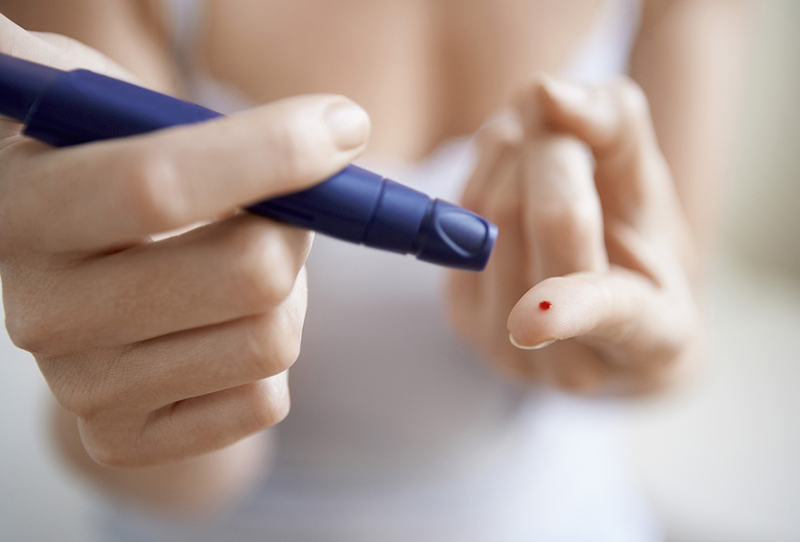 Given this mutual frustration and mistrust, I was very excited by a talk I attended at this month’s American Association of Diabetes Educators (AADE) conference in Philadelphia. Titled “Making Shifts Happen: From Drama to Empowered Conversation,” it suggested a powerful new approach that might change this dynamic for patients and diabetes educators alike. The two speakers were Paige Reddan, MS, RD, CDE, who’s been living with Type 1 since 1993, and David Emerald Wolmeldorff, who has Type 2 diabetes and is the author of the book The Power of TED (The Empowerment Dynamic), on which the talk was based. In a nutshell, the point of the talk – and the TED approach to diabetes – is to redefine the role each person plays in relationship to diabetes. In most situations, explained Wolmeldorff, a patient and CDE are two players in what he calls “the dreaded drama triangle” (a play on the Karpman drama triangle). This triangle consists of three interconnected roles: the victim (in this case the person with diabetes), the persecutor (diabetes itself) and the rescuer (the diabetes educator). Intuitively, this makes sense: diabetes is the persecutor victimizing the person with diabetes, and the educator (or any diabetes-related professional) is there to “rescue” the victim by providing expert help and support that only they are qualified to provide. But the problem is that this desire to help the victim – well intentioned though it might be – can actually perpetrate the person’s sense of victimhood. While diabetes can certainly feel like an unwanted persecutor, viewing yourself as a victim of diabetes is very disempowering and stressful. Part of the definition of being a victim, after all, is not being in control; not being in control means that you don’t have the power to proactively change the situation. And being powerless provokes anxiety. In this situation, diabetes becomes something to be feared, a problem that you just want to go away. And while the diabetes educator may truly want to “rescue” you from this, in reality, by perpetrating this anxiety and sense of victimhood, they’re often just enabling the cycle. As Wolmeldorff explained, when you feel anxious about something, you often will take action to get rid of that anxiety. But when the anxiety goes away, you may revert to your previous behaviors. In the case of diabetes, where your previous behaviors may have been causing the anxiety, reverting to those behaviors will make your anxiety spike again – perhaps with a touch of guilt thrown in at your perceived lack of willpower or self control (perceptions that the CDE may inadvertently – or advertently – reinforce as well). So you take action, your anxiety goes down, you stop taking that action, and it returns again. You feel guilty, stressed, and even more like a victim. It’s an emotional version of yo-yo dieting.Instead, Wolmeldorff and Reddin offered an alternative triangle, which he calls TED: “The Empowerment Dynamic.” In this situation, the diabetes educator is no longer the rescuer, but the coach. Diabetes itself is no longer the persecutor, but the challenge. And the person with diabetes is not a victim, but a creator. What this means in practice is that instead of being driven by anxiety caused by a perceived problem, the person with diabetes defines what he or she actually wants a shift in perception that makes it much more likely for he or she to maintain a change in behavior. Think about it: the point of fixing a problem is to make it go away. The point of working toward a goal is to bring the goal closer. The patient might need some encouragement – indeed, most of us are used to being treated as victims, not creators. But if you keep asking open-ended questions, we’ll likely be able to come up with something. It doesn’t even need to be specific — even something as broad as “I want to feel healthier” can provide a great entry point. In that case, a coach-oriented CDE could say something like, “That’s great that you want to feel healthier. What is one small thing you could do tomorrow to help you work toward that goal?” Maybe it’s taking a 10-minute walk after dinner. Maybe it’s only eating half of dessert. Whatever it is should be concrete, clearly defined, achievable, and – while brainstorming together is a great idea — ultimately decided upon by the patient herself. In this model, anxiety is replaced by a positive goal, and the patient has a self-defined path to get there, baby-step at a time. The next time the CDE and the patient meets, the coach CDE would try to praise whatever steps the patient had made toward the goal and help the patient brainstorm next steps. Instead of criticizing failures, the point is to create attainable, patient-defined goals – and recognize patients for their efforts in achieving them. This may sound gimmicky, but if you have any doubt to its value, think of the last time you had a frustrating experience with a CDE – or any diabetes health care professional, for that matter. What if, instead of starting your appointment by poring over your glucometer’s numbers and circling highs and lows (i.e. starting with perceived problems first), they simply sat down and asked you what you wanted to talk about or work on that day? What if, instead of feeling ashamed and judged by a CDE – and annoyed since they are not the one personally living with your version of the disease – you felt supported, encouraged and actually listened to? If this all sounds obvious to you then, first, I hope you will consider a career as a certified diabetes educator and, second, I wish you’d been at the question-and-answer session. The room was packed with CDEs, people who not only had made career choices to help people with diabetes, but were attending a conference to learn more about how to help people with diabetes, and had deliberately chosen a session targeted toward helping them help people with diabetes. In other words: they really want to help! And yet as I listened to the questions from the audience – and chatted with some CDEs afterwards – I realized how often even the best-intentioned CDEs inadvertently perpetrate the so-called dreaded drama triangle with their patients. They told stories of how frustrated they felt when they repeatedly warned patients of the complications that would ensue if the patient didn’t follow their suggestions. (This is completely understandable from their perspective – who wants to have a patient lose their foot? – but also very anxiety provoking and victimizing for the patient.) They explained how they started appointments by looking over their patients’ numbers, circling highs and lows with a pen (presumably to identify areas to work on, but completely forgetting to acknowledge all the effort all the “good” numbers took to achieve). For more information, I recommend checking out Wolmeldorff’s book – The Power of TED. And if you have a negative experience with a CDE or medical professional, instead of fuming silently or spending the evening thinking about all the clever things you could have said (my preferred response), consider bringing up this approach with them yourself. Most CDEs genuinely want to improve their patients’ lives. Maybe, rather than criticizing them, we should empower them instead. How do I become a diabetes educator? One must be a healthcare professional who has a defined role as a diabetes educator, not for those who may perform some diabetes related functions as part of or in the course of other usual and customary duties. Practice as a diabetes educator means actively employed for compensation, providing a direct or indirect professional contribution to the care and self-management education of people with diabetes. Diabetes educators can be found in a variety of settings: hospitals, physician offices, clinics, home health, wellness programs, to name a few. They most often work within accredited or recognized diabetes education programs. This means that the diabetes education program has met requirements set forth by the Centers for Medicare & Medicaid Services and can bill for diabetes self-management training through two different codes: G0108 and G0109, which are for individual and group diabetes education. After working in the field for a while, many diabetes educators choose to pursue the Certified Diabetes Educator (CDE) credential. See below for information on becoming a CDE. How do I become a Certified Diabetes Educator (CDE)? In order to become a CDE one must first meet the eligibility requirements set forth by the National Certification Board for Diabetes Educators (NCBDE). The CDE credential is fully administered and maintained by NCBDE. AADE does not have a role in the process, but does have products that assist in preparing for the CDE exam (see below for more details). I joined a small group where I participated in diabetes education classes regularly, which helped bring everything I knew about diabetes together. The program provided helpful tips and reminders, like healthy food substitutes and ideas for staying active. It also showed me how to put them into practice. Coming from a Hispanic home, I still wanted to enjoy all the traditional foods just in a healthier way. My educators taught me how to do so.I also took part in a diabetes education study, which was very rewarding. I used a tablet at home to record information such as testing times, sugar levels and meal sizes. I was able to share the data in real time with my diabetes educator, who helped identify changes that I needed to make in my daily activities, like when I should be testing and what I should have for dinner. I kept a journal for the 12-week study, and every week I saw improvement. To be able to visually see my progress was very rewarding and helped motivate me to keep moving forward. And the most important part? It worked. I lost 35 pounds, bringing my sugar levels down and making my diabetes more manageable. I have kept my focus on living with the changes I made for my health and still check my levels twice a week. I’m still working on my last 20 pounds I’d like to lose, but I know with continuous exercise and a balanced diet, I’m on the right track. If I had to describe my experience with diabetes education, I would call it eye-opening. It was the little things I learned, such as that I should walk for 10 minutes after every meal, that helped me make progress. One key to my success in fitness was purchasing a Fitbit. It tracks my daily steps and my overall activity. I aim to reach 10,000 steps per day. My coworkers, who also have Fitbits, are great at challenging one another and striving to keep healthy. I am still working with a diabetes educator to this day. And like anyone, I have good weeks and weeks that challenge me. Having a diabetes educator keeps my goals present and achievable. I recently also joined a patient advocacy and advisory committee with University of California Davis, helping others manage their diabetes while I manage my own. It’s so rewarding to be able to take what I learned and bring it to others. I think it’s helpful that I can relate to them and tell them that I’ve been in their shoes. For anyone out there considering diabetes education, I want you to know that it can really save your life. Coming from a family with a strong background of diabetes, I thought I knew enough for my own health. In fact, I did not. The education from the diabetes educators gave years to my life. Who Is Caring For The Caregiver Cancer?